She comes fully loaded with storage galore and completely finished so you can move in straight away. 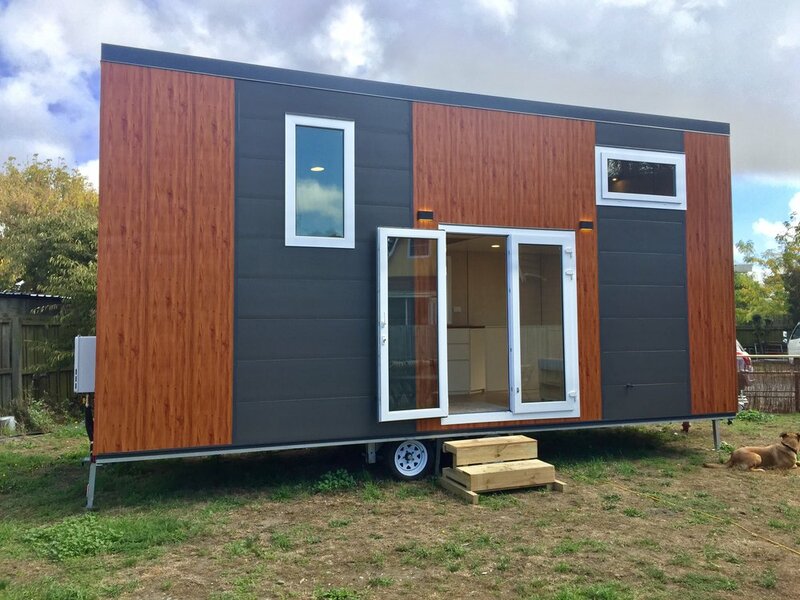 For this first build, she also comes complete with heat pump, sofa bed, fold down table and chairs and a loft desk, which will be only be optional extras in future houses. 7.2m X 2.4m. Fully warranted and registered, gas and electrical safety certs included. Liberty is on offer below her standard pricing for this build or for any new builds of this design (with optional alterations where available) if orders are placed before the end of July 2019. For full specs and photographs, head to our products page by clicking here. 360 degree virtual tours of Liberty are available by clicking here. We also have a couple of mid-build videos showing you how the hidden folding table and chairs and the hidden storage within and behind the stairs all function. See previous post for these by clicking here. We’re happy to answer any questions or make bookings for viewings of Liberty if you’re interested, simply contact us by return email or via our contact page on our website. Older PostWhat have we been working on?